Boston, like every major city in the US, has seen its share of the luxury residential construction boom. From the new skyscrapers in the Seaport district to the Millennium Towers downtown, we've seen quite a few spectacular projects. Much of it has been new construction replacing the old. The Lucas, a recently completed 33-unit luxury condo complex, however, is unlike anything Boston has seen before. 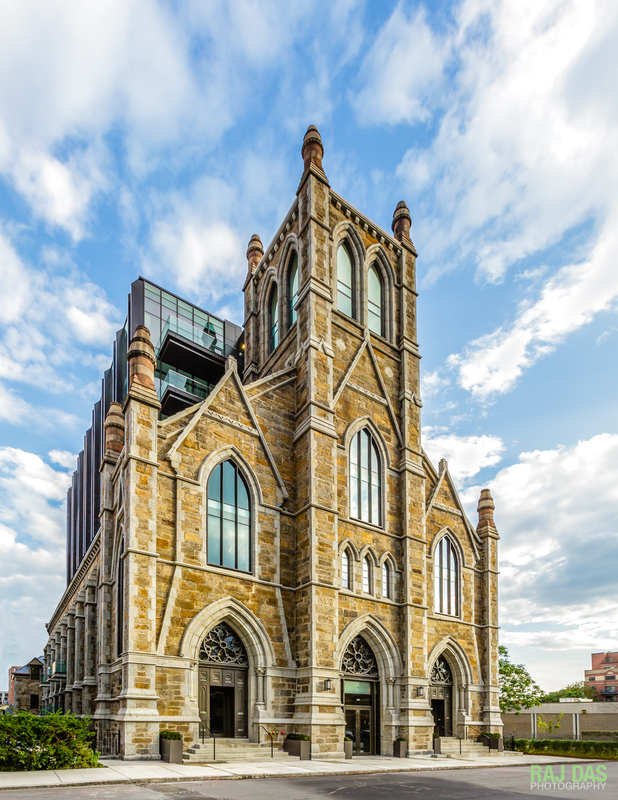 This elegant South End residential project transforms the former 1874 Holy Trinity German Church into a boutique, eight story condo building. Located at 136 Shawmut Avenue, the project is a joint venture between New Boston Ventures and Metric Corporation. It was designed by the award-winning Boston architecture firm Finegold Alexander Architects. The beautiful new design marries the original design of 19th century Irish-American architect Patrick Keely. 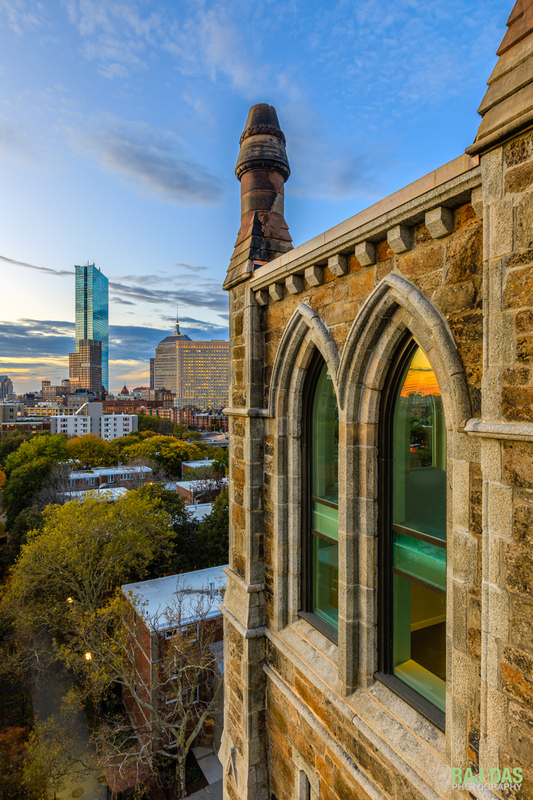 It preserves the historical church's pudding-stone exteriors and adds a contemporary eight story steel and glass structure shooting through the original building. 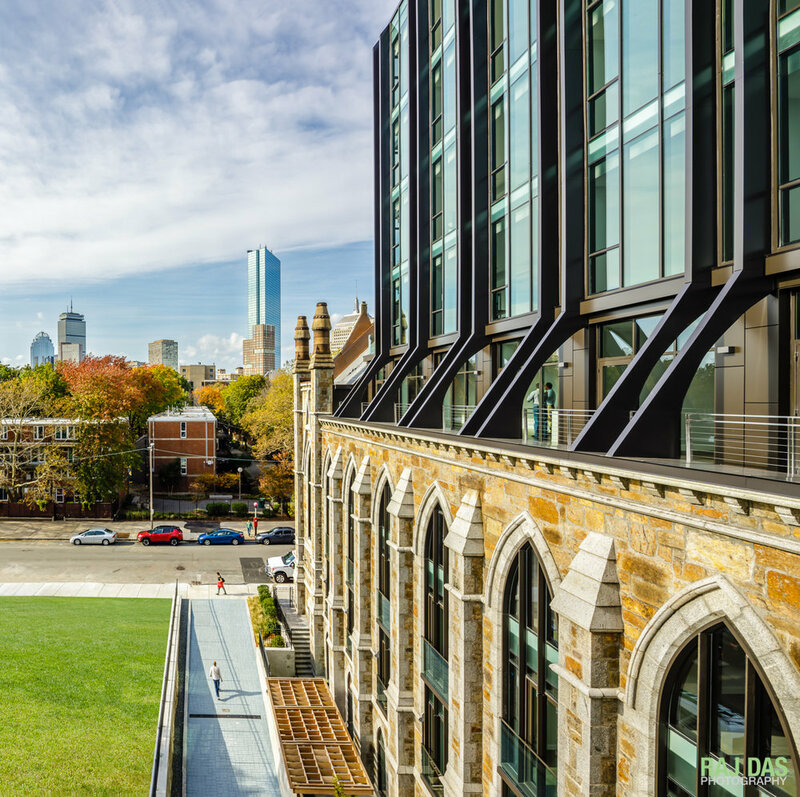 The Lucas is a testament to balancing preservation with vibrant new uses of historical structures in an urban setting. I am thankful and honored to have had the opportunity to photograph and document this new gem in the South End for it's architects and developers.